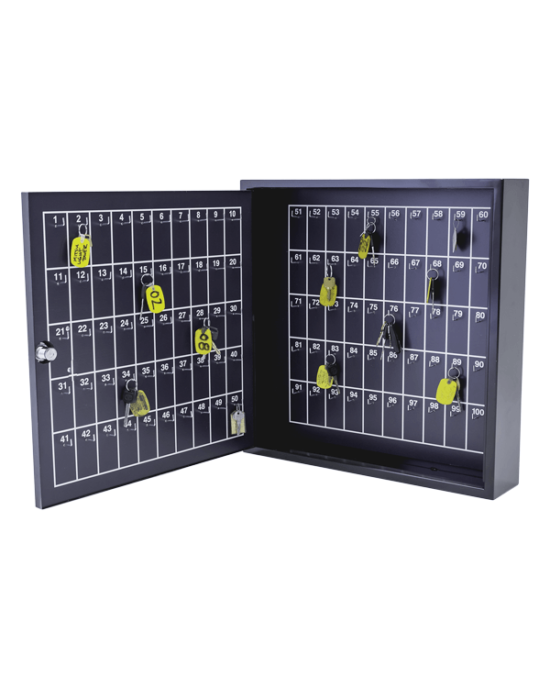 12″ wide x 24″ high x 5″ deep Portable Valet Key Box – 50 Hooks (KC-1330). 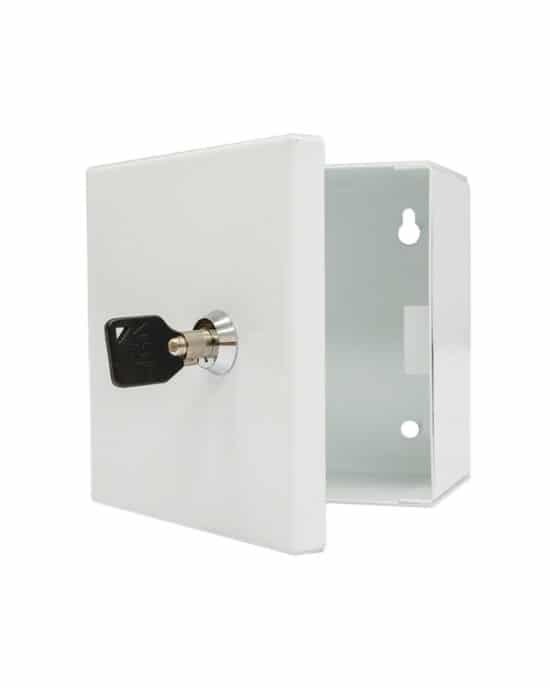 This product is constructed out of 16 gauge formed electro-galvanized sheet metal to endure heavy uses and finished with 2-part semi-gloss polyurethane. 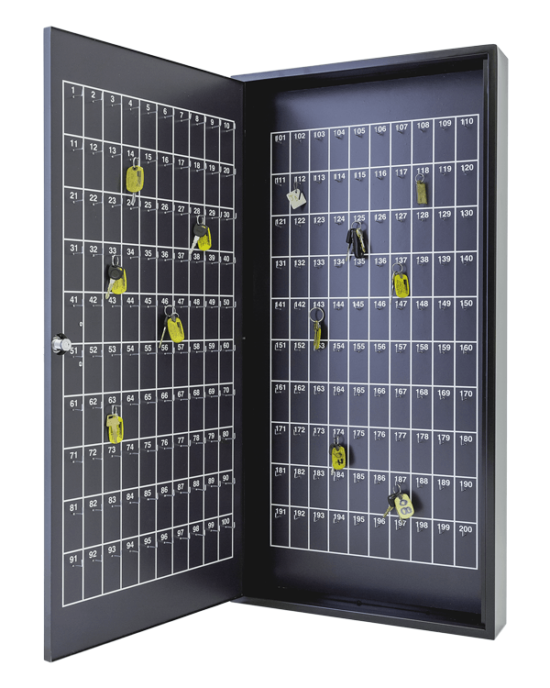 The door and back of of the valet key box includes a numbered grid with 1-50 with L-bend hooks. 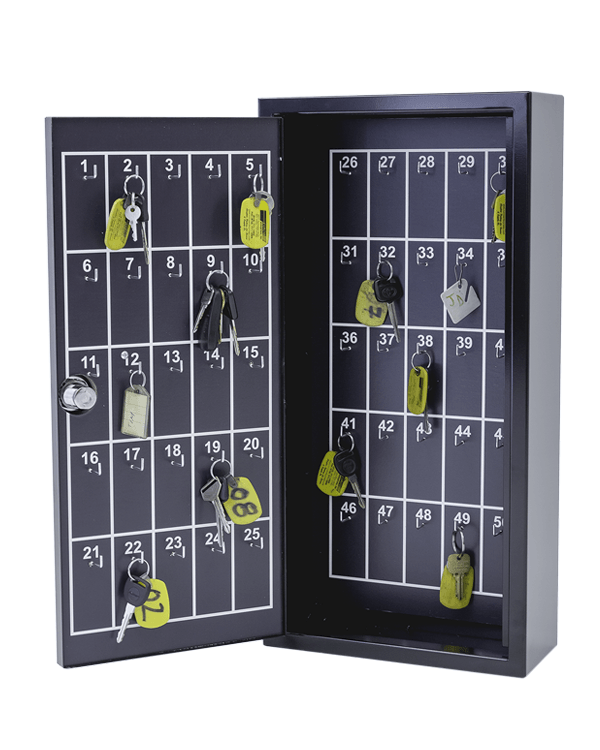 The door is mounted to box with continuous stainless steel piano hinged including (1) heavy duty cam lock and 4” pull handle.